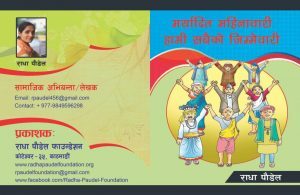 Radha Paudel Foundation published a mini handbook entitled ‘Dignified Menstruation is everyone’s business’ in Nepali language in February 2018 in order to demystify the rumours, myths, mis-perceptions around menstruation includes the blood, girl/women, her belongings. This book answered 69 questions and easy book for front liners such as NGO workers, school teachers, activists and references to everyone. 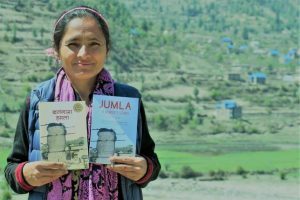 This is written by Radha Paudel who is pioneer on menstrual activism in Nepal. It is available in sell.